If you’re wondering how to find the best Italian coffee, you know you’re in pursuit of a strong flavor that performs well in lattes, cappuccinos, and macchiatos. Italian coffee isn’t limited to those milky drinks; it’s enjoyable in espresso and drip coffee form, too. What Is Italian Roast Coffee? When should you use Italian coffee? The short answer: whenever you want. More specifically, though, if you want to drink Italian coffee as if you’re enjoying Italian coffee culture, it is ideal for cappuccinos, macchiatos, lattes, and espressos. 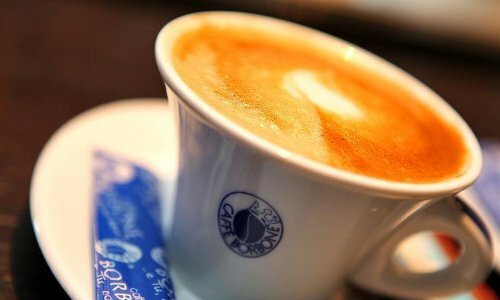 In Italy, it’s not unusual to have coffee several times throughout the day—morning, afternoon, and even after dinner (milky drinks tend to be limited to mornings, though). Finding the best Italian coffee is a lot like finding the best coffee in general, except you have your choices narrowed down from the start. It’s easier to make a selection as long as you keep a few key things in mind as you shop. When possible, choose a brand that shows you a “roasted on” date instead of a “use by” date. You’ll get a better idea of how fresh it is that way. That will assist you in choosing the best brewing method, knowing how much crema to anticipate (roughly), and even tells you a little about how to drink it (the fresher it is, the less you’ll need to add milk and sugar/syrup to it). Check the intensity. If you’re coming from milder types of coffee, it’ll be a giant leap to go for, say, Illy Intenso. You may prefer to ease in with a medium roast. Know the difference between Italian coffee and Italian roast coffee. Check the grind. Italian roast coffee is often used in espresso beverages because it effortlessly holds its own against competing flavors, like milk and flavored syrups. In many cases, those will be ground for espresso machines (but not always). With the right grind, Italian coffee can be enjoyed when made with any brewing method. How is it packaged? Air-tight or vacuum-sealed packages are a must for getting the best, freshest Italian coffee. If you have a grinder and a choice, always get whole bean. It’ll give you the freshest-tasting coffee, the best chance at wonderful crema, and allow you to control your grind to fit the brewing method you want to use. Look for a high percentage of Arabica beans. Robusta beans may create crema more easily in some cases, but Arabica beans still perform well and usually taste better. 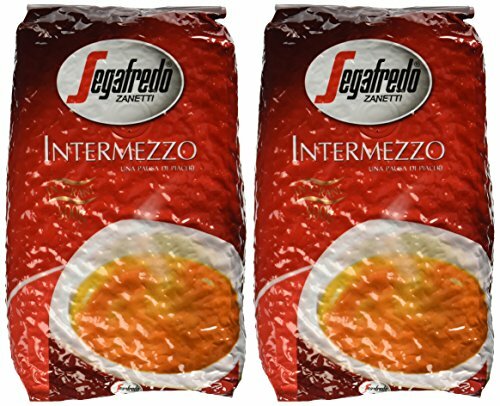 It’s important to note that these are Italian coffee brands, but the actual beans are not grown in Italy. Italian coffee is actually made up of imported beans. The best Italian coffees are the best because of the roasting methods and bean blends that the Italian companies come up with. Coffee roasters outside of Italy can accomplish what’s called an “Italian roast” (typically a very dark roast) no matter where they are located. It’s important to note that not all Italian roast coffee is actually from Italy. It’s simply a roasting method. Italian roast coffee is extremely dark—even darker than French roast. There are crossovers between Italian coffee and Italian roast, though. Italians tend to prefer stronger, more powerful flavors in their coffee. People who prefer milder, more delicate flavors and lighter roasting methods may call them “burnt” or “ashy” but it’s all a matter of taste. Someone who likes milder coffees may have a hard time with both Italian roast and even the best Italian coffees. It simply boils down to personal preference. There are always exceptions, of course. One of the safest bets, when you’re figuring out how to find the best Italian coffee, is to check Amazon for a combination of a high number of reviews and a four- to- five-star rating. Lavazza Super Crema (medium espresso roast) has almost 5,000 reviews and 4.2 stars. Here’s another medium roast that’s a winner. It’s a rich, full-bodied Arabica blend that isn’t especially intense. The beans are from Central America and Africa and best prepared in an espresso maker or moka pot, but you can use it in a French press or drip coffee maker if you choose the whole bean version and grind it appropriately. This coffee has unmistakable fruity notes. It’s around $25.00 (Check out the latest rates here!) for four 8.8-ounce cans or just over $30.00 for six cans. This is a 100 percent Arabica blend made up of beans from Central and South America. It’s a medium roast with a rich body and fruity and floral notes, so it’ll be great in lattes, cappuccinos, macchiatos, or straight. On a scale of one to 10, it’s a five in intensity. One of the nice things about the Illy brand is the fact that it comes in an air-tight 8.8-ounce can. This particular roast is full-bodied, rich, and smooth, with chocolate and caramel notes, made up of 100 percent Arabica beans. It’s perfect for drinking on its own after making it in a drip brewer, pour over, or French press. You can even use it as cold brew. This is a 100 percent Arabica coffee bean option, packaged to preserve freshness. As the name suggests, you’ll need to use this one in an espresso machine or moka pot because it’s so finely ground. This medium roast offers notes of caramel and chocolate. It’s balanced and rich, so it can stand up to milk or cream if you choose to add them. There’s also a moka version of this one with the same notes. Ready for an Italian coffee that’s extremely intense to take your drinks to the next level? The Illy Intenso ground espresso in the dark roast, 100 percent Arabica coffee blend may be the perfect one for you. It’s richer and darker than the Classico espresso, designed to bring you bold, powerful flavor when made with an espresso machine. 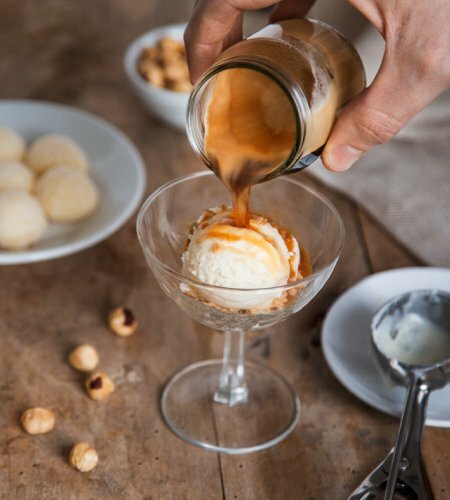 If you love after-dinner espresso or just can’t handle caffeine even though you love the flavor of coffee, you may love this full-bodied mix of Swiss water decaffeinated Arabica beans from Honduras, Central America, and Vietnam, available ground or whole bean. It has notes of cocoa and spices and comes in a medium roast. The Napoli blend from Aromistico is darker, with notes of malt and dark chocolate. Its smokiness will help it perform well in milky espresso beverages. If you love strong coffee, this may be the one for you. It’s a blend of Arabica and Robusta beans from Brazil, India, and Central Africa. This one is also just a little over $10.00 (Check out the latest rates here!) for about seven ounces. Here’s a powerful coffee. It’s a mix between Arabica and Robusta beans with notes of chocolate. It’s rich, strong, and will leave a lasting impression. This selection is made up of African Robusta beans, which provide great body in espresso beverages. Reviewers who have sipped espresso in Italy say drinking this is almost like being there and report a smooth blend with excellent crema. These Italian coffee beans are a combination of 92 percent Arabica and eight percent Robusta beans. Reviewers tend to agree that it’s a crowd-pleasing, well-rounded coffee that’s mellow enough for a variety of uses (even as an everyday coffee) while still being dark enough to stand up to milk and other flavors. These beans are a blend of Arabica and Robusta. The end result? It’s strong, spicy, full-bodied medium roast that’s great in espresso beverages or black. The flavor of the brew doesn’t get quite as many rave reviews as those from other brands, but it’s a top pick because it’s still a great option at a lower price point. This is quite an affordable option since you can get two 17.6 oz bags of whole beans for about $20.00. (Check out the latest rates here!) Grind it how you like and brew it up in your espresso maker, automatic drip coffee machine, or another brewing method of choice. Looking for an intense, rich coffee? The Kimbo Espresso Napoletano has your name all over it. It’s a full-bodied medium-dark roast with a hint of sweetness in the notes. The packaging–a can–is designed to keep the coffee as fresh as possible. Reviewers love that it comes fresh, comes in a reusable can, and doesn’t cost a fortune but tastes like quality coffee. Here’s another winner from Kimbo. 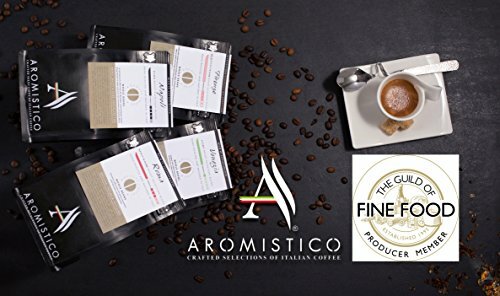 This is a smooth, creamy, balanced blend that is also intense, full-bodied, sweet, and a medium-dark roast just like the Tradizione blend above. This one is a little more expensive than that one, at just over $10.00(Check out the latest rates here!) for an 8.8 oz. can. You can use this blend in any type of coffee maker, but reviewers seem to especially love it in stovetop espresso makers and used in cappuccinos. Several reports being pleasantly surprised by its lack of bitterness. The Caffee Borbone ESE coffee pods in Miscela Rossa are a wonderful option if you prefer to use pods rather than whole bean or ground coffee and enjoy your coffee strong and robust. 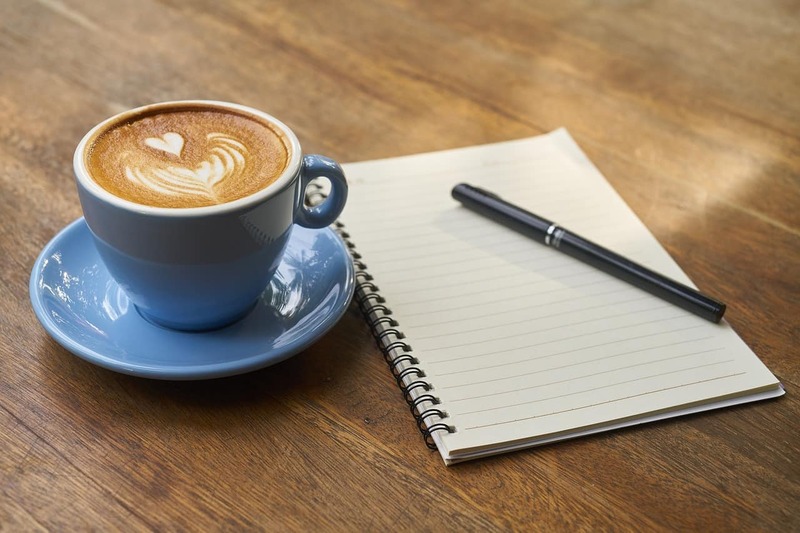 Reviewers tend to love this one because it’s so powerful and delivers enough caffeine to give them a solid start to their day. It’s a darker roast that works well in cappuccinos, lattes, macchiatos, etc., but feel free to drink it black if you’re brave. People who love it say their drinks are consistently delicious, from one pod to the next. Here’s another pod-style Italian coffee option from Caffe Borbone, this time not quite as dark as the Miscela Rossa. This blend is smooth, creamy, full-bodied, and well-rounded. It produces excellent crema. Reviewers love it for the smooth taste, lack of bitterness, crema, and mouthfeel. For just under $50.00,(Check out the latest rates here!) you can get 150 pods. Now that you’ve narrowed it down to several of the best Italian coffees to try with the list above, compare their notes and roasts to the ones you already appreciate in other coffees. That will narrow it down further. Then it’s time to work your way through the short list to find the best Italian coffee for you.